There's no denying it's a big year for Hellboy, Mike Mignola, and the team at Dark Horse Comics. 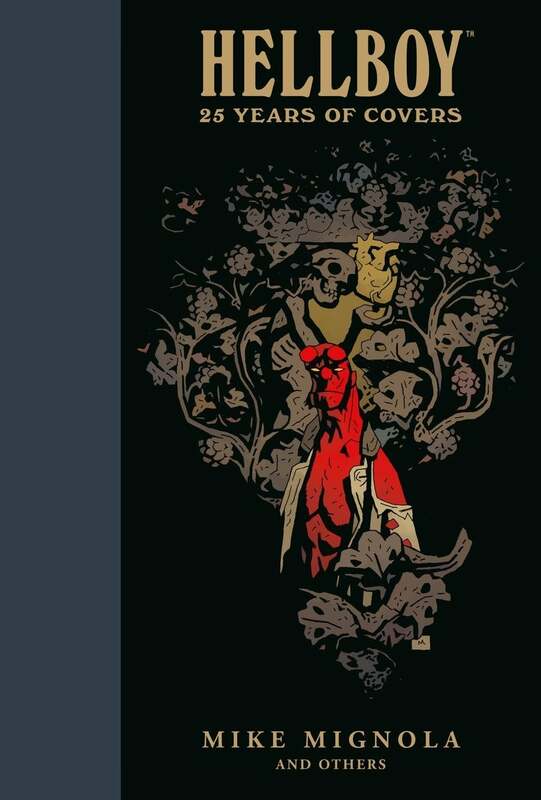 Not only is a brand-new Hellboy film entering theaters this Spring, but Dark Horse has also organized the inaugural Hellboy Day celebration to celebrate the 25th anniversary of the Mignolaverse character. Not only that — Dark Horse announced earlier today that come July, they'll be releasing a compendium full of covers throughout the entire duration of Hellboy's existence, all the way from Hellboy: Seed of Destruction #1 (1994) to B.P.R.D. : The Devil You Know #15 (April 2019). In a press release posted on Screen Rant, Dark Horse revealed the compendium will be available for purchase beginning July 3rd and will have a cover price of $34.99. All in all, the 8" x 12" hardcover compendium will include over 150 covers from the Hellboy mythos. When it comes to Hellboy Day, Dark Horse has partnered with Diamond Comics Distributors to offer all kinds of promotional goodies. In addition to a special promotional edition of Seed of Destruction #1 — which includes an all-new cover by Mignola and Dave Stewart, by the way — retailers will also have the opportunity to order a promotional poster, bookmark, button, temporary tattoo sheet, and window cling. "When I created Hellboy way back when I never imagined he would be around long enough to celebrate a 25th anniversary," Mignola said in a previous statement. "I'm grateful to the writers, artists, colorists and letterers who've joined me in telling Hellboy stories for all these years. And, of course, so grateful to the fans. This thing could not exist without their support and it's a pleasure every time I get to go out to meet them." As for Mignola's plans on Hellboy Day? He'll be attending a signing at Earth 2 Comics in Sherman Oak, Los Angeles on March 23rd. Will you be heading down to your local comic shop to participate in Hellboy Day in March? What's your favoriteHellboy story of all time? Let us know your thoughts in the comments below or join the conversation online by hitting me (@AdamBarnhardt) up on Twitter to talk all things Hellboy. For more information on Hellboy Day, fans are asked to visit DarkHorseComics.com/Hellboy or to follow Dark Horse across their social media platforms for the latest news and updates on the momentous occasion.